JOIN NOW FOR THE DISCOUNTED RATE OF $47.00, a $50 DISCOUNT! Looking to Become an IBU Author? If you have a new book coming out soon or have books just sitting in boxes, then Indie Books Unleashed was created for you! We know, getting your book to print is a ton of work and expensive. We also know that not all writers understand HOW to sell their books once in print. 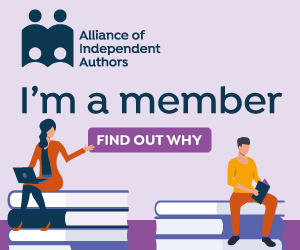 It’s why we started IBU – a program designed to help authors, especially self-published authors, find their readers, sell their books, and get reviews. Indie Books Unleashed helps Authors by (a) getting their books into brand new markets in businesses where their books can be seen, and/or (b) by setting up local, author book signings to sell more books. – Ship as many books as you’d like to the participating locations. Get your books into new markets, into readers’ hands. – IBU further creates opportunity for real-world discoverability of your work by including a personalized letter with each book shipped that encourages readers to follow you on FB, sign up for a newsletter, AND write an honest online review of your book. – Authors can bring 3 new participating locations on board themselves. Or for a nominal fee, we can set up your locations up for you. You just tell us who to call! – Books remain visible at the locations on a shelf or table (similar to piles of magazines you often see), viewers are encouraged to buy them online right there! – IBU can also arrange LOCAL book signings for you, locations targeted for optimum book sales. Ask about these fees if you have a difficult time setting up your own book signings. NOTE: With your one-time membership per book, you will be able to send as many books out as you like! It’s a new program, so the price is low – take advantage of IBU today! IBU, Indie Books Unleashed is a community-driven program that can help get your book SOLD, READ and REVIEWED!! Click Here or Scroll Down to Learn More! Indie Books Unleashed is super cool. Here’s how it actually works. LOCATIONS: Authors choose to either bring in 3 of their own participating locations, OR provide business names that IBU will contact for you, for a $30 one-time-flat fee. STICKERS & POSTERS: Members receive “Indie Authors Unleashed” and “Buy me!” stickers they’ll affix to the books they ship. PARTICIPATING LOCATIONS: Authors are also sent the IBU posters to bring to businesses that have agreed to participate; posters should be hung where people can see. Let’s face it, not all great writers are great salespeople, too, and selling books can be even more difficult than writing them (it’s really true). IBU helps authors move their books into new markets around the U.S. and reach readers in a much more personalized way. Your book(s) and headshot will be listed on our website. Participating locations are listed on the site for easy target market decisions. Send as many books as you like, one to each location, for more visibility. A 1-5 Star book review system is available on the site for your readers, too, so encourage readers to post their reviews here, as well. Finally, once you’ve joined, download the coveted IBU seal. Post it on your own site, on FB, Tweet it, etc… Help get the word out to other aspiring writers, to potentially participating businesses and to readers about the community value of IBU. View all U.S. participating locations here! Yeah, really… that’s all there is to it. IBU gets writers new readers and puts your book into new markets. IBU can also schedule local book signings for authors to get even more sales and more online book reviews!